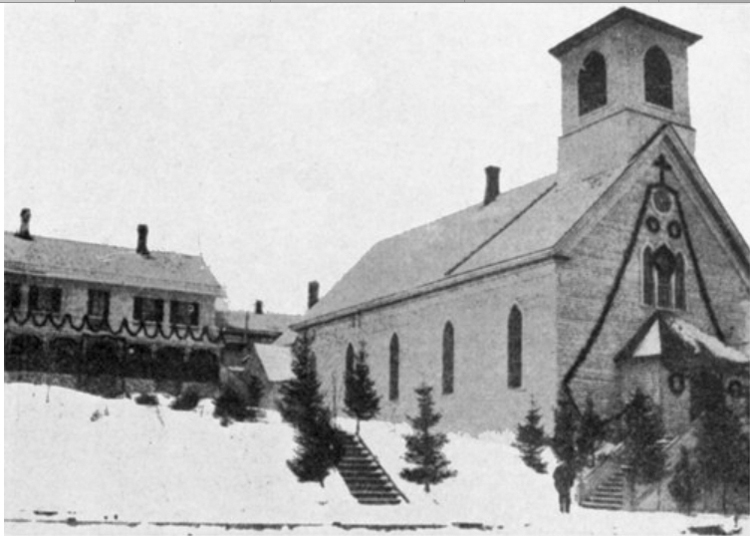 Prior to 1870 Catholics in Duluth attended masses at various locations led by Slovenian missionary priest John Chebul. In 1870 land was donated for a Catholic church on the corner of Fourth Street and Second Avenue West, and Father Chebul began an effort to raise funds for a building. Chebul himself gave $1,700 (over $28,000 today) and others contributed enough to build the wooden church and rectory. The church opened in February 1871, the same year Father George Keller of Lacrosse, Wisconsin, became Duluth’s first permanent pastor. Chebul continued opening other Catholic churches in the region. Painted white, Sacred Heart measured seventy by thirty-five feet and featured Gothic windows and a small squat steeple which could be seen from far out on Lake Superior. The steeple held no bell until 1877. 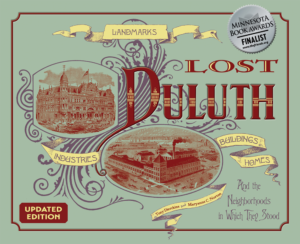 The church primarily served Duluth’s Polish and Irish Catholics. A kerosene lamp used to illuminate the building accidentally set it on fire the evening of July 2, 1892. Flames quickly spread to the steeple, and the church burned to the ground; the next door rectory was damaged. A nearby church hall held masses until a new brick and brownstone Sacred Heart Cathedral, designed by Gerhard Tenbusch, opened in 1896.